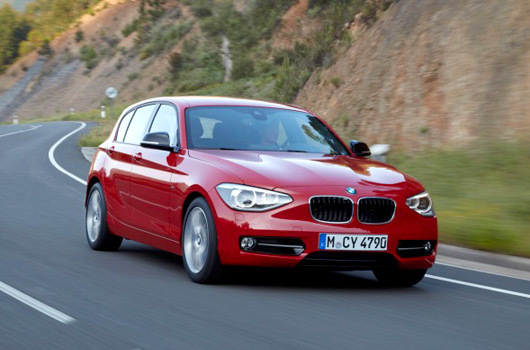 The press drives of the BMW M135i [official info] are underway and with that come the first reviews. In short, they found the M135i to have terrific performance, stunning grip, fine balance and decent steering, making the M135i a mighty road weapon. It’s value, too. Either way, this new three-door 1 Series is eagerly, muscularly and excitingly quick with the potential, you may think, to become a flailing handful if you dare to meddle with the ESP button. But the first bold dive into a rain-sheened bend uncovers grip reserves far deeper than expected – deep enough that when that DSC button is prodded for partial disengagement, it takes some lead-foot ambition to get the rear axle’s wider 245/35 R18s to get a skate on, the slide part-managed by a brake-deploying virtual limited slip diff. So it’s pretty neat, controllable and reassuring, the more so because this rear-driver is quite a finely balanced tool, as proved by a too-fast arrival into a tight, low speed turn that fails to bring on any plough-on understeer. That said, you can expect to see plenty of the orange light that confirms an active ESP system, which is no surprise given all this energy and rear-wheel drive. Perversely, it’s best to experience all this in the ‘comfort’ setting of the £515 Adaptive M Sport suspension, an essential option. It softens off the electronic dampers and lightens the steering effort to produce a satisfyingly communicative, more absorbent chassis and best of all, usefully more feelsome steering. Of course, tripping the ‘Comfort’ mode slows the shift times and the ‘box’s willingness to hold a gear, but that’s easily undone by sliding the gearlever to leftwards to ‘Sport’, which gets you a more eager gearbox. The result is a an excitingly rapid drive that sits just the right side of hectic, the excitement of the six’s keen blare built on by the ‘box’s light thumps in sport, the ra-ta-tat of the exhaust’s over-run, the lightly clasping support of the seats and an excellent driving position. While some may desire the more uncompromising character of the 1M Coupe, the fact is that this M135i’s ride is less maskingly firm, its steering more delicate and its character easier to live with. And it’s also a whole lot cheaper, being almost £10k less. Of course, you do without the some of the 1M’s alloy suspension hardware and massive brake rotors – although the 135i’s enlarged blue-calipered disks are entirely effective - but remember that the M135i rides on the latest 1 Series platform besides benefiting from bespoke suspension geometry and its own springs, dampers, anti-roll bars and bushes. Much of the M135is’s considerable entertainment repertoire is provided by the straight six. This Twinpower motor features a twin-scroll variable geometry turbocharger, variable timing of both inlet and exhaust cams, variable valve timing and direct injection, these features managing to almost eliminate turbo lag. Indeed, you must actively search it out to find any, by shifting manually and having the revs build from 1000rpm to the 7500rom limit in second, say. Then you’ll uncover a slower-moving tacho needle to 1300rpm. From this point the six has already reached its 320lb ft torque peak, this figure impressively maintained through to 4500rpm, although the revs don’t rush at you until this peak has passed, the tacho needle performing a lightning flit to the limiter. Throttle response is not as instant as you’ll find in a normally aspirated M3, but it’s sharp enough for most circumstances. Couple the six’s breadth of urge to that eight-speeder, and you have a car that powers near seamlessly from a dawdle to its easily struck – and restricted - 155mph maximum. Motorsport has tuned the 135i’s exhaust to provide a smoothly busy sound-track that makes paddling your way through eight ratios an absorbing business, even if the noise can turn slightly wearing. Happily it quietens off at a motorway cruise. And we suspect the same may be true of the ride, which showed signs of choppiness on Germany’s mostly smooth roads. Do They Recommend the M135i? None of this seriously diminishes the appeal of this car, which has to be one of the most entertaining in the entire BMW range, offers truly memorable go for the money and a highly capable and entertaining chassis besides. It’s a shame that the 1 Series, three door or not, doesn’t make a more appealing eyeful, like an Astra GTC. Maybe the next-gen 1 Series coupe will fix that. “The M Coupe was a race car that had been tamed slightly, whereas the M135i takes the road car as a starting point and takes it to the limit,” Dr Friedrich Nitschke. BMW’s M boss, told us. Under the skin, this is a very different car to the M Coupe. Firstly the six-cylinder engine has a single, rather than twin turbos, there’s no limited slip differential, it uses adaptive dampers instead of rock-hard fixed-rate suspension and the M135i comes with the option of an eight-speed auto, unlike the manual-only M Coupe. But don’t imagine for a second this car is soft. The engine’s performance in thrilling, although it never feels too ballistic for the road, and it sounds fantastic too – the raspy engine note fills the car and there’s muffled pops and bangs from the exhaust on the overrun. What sets this sensational powertrain apart though is its smoothness, even as you scream towards the 7,200rpm redline, which is partly thanks to the superb eight-speed auto gearbox. The six-speed manual will still be the purists choice, but there’s now no shame in ordering the auto. The standard M Sport adaptive suspension sits 10mm lower to the road, but leave it in Comfort mode and it’s easily forgiving enough for everyday use. Crank it up through the driving modes though - which also tweak throttle response, gear change speed and steering weight – and it gets significantly firmer. Sport+ is best reserved for driving on track, but even so it’s not as bone-shaking as the M Coupe. Our only gripe was with the variable-ratio steering, which is sharp and accurate but too light for a car this fast. Hit a bump mid-corner causes the wheel to wriggle in your hands, which can upsets the car’s balance. That aside the grip levels are impressive, throttle response is immediate and when you want to act like a hooligan turning the traction control off in the rear-wheel drive M135i is far more fun than with the four-wheel drive Audi RS3 or forthcoming Mercedes A45 AMG. lets hope the 2 coupe has the same stuff for the usa. Last edited by BMWDAD; 07-06-2012 at 05:27 AM. Very good reviews. Very promising. 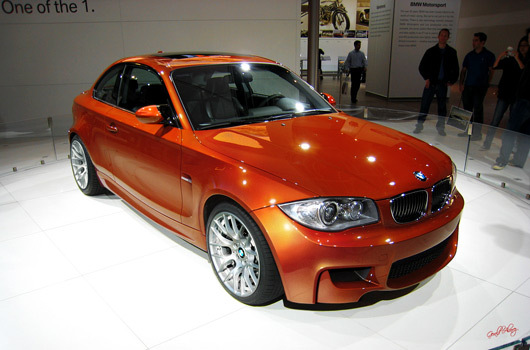 Saw a BSM M Sport on the road today and I must say I am warming to the looks. I think darker colours mask the ugly headlights better than say white. Looking forward to more news re the xDrive version comig later, hopefully to the UK. I think the headlights look quite good (at least with Xenon), but the gap between the kidneys and the lights is very disturbing. 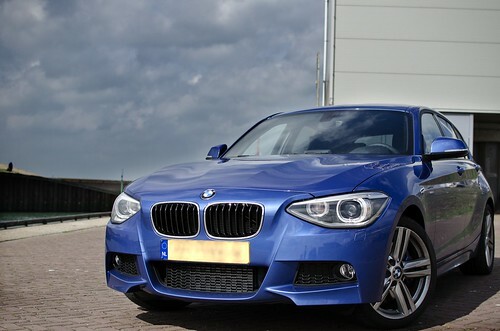 I find it ugly in the regular models, but in the M-Sport version there are some creases that makes it look fairly good. The gap is no longer a flat wall, but has a nice shape. Totally agree... i've only seen one blue m sport on the road so far... and the extra detail to the front bumper looks great. I'm even looking to change my front and rear bumper skin now to m sport. I love the standard shape. Good review on a nice looking 1-series. 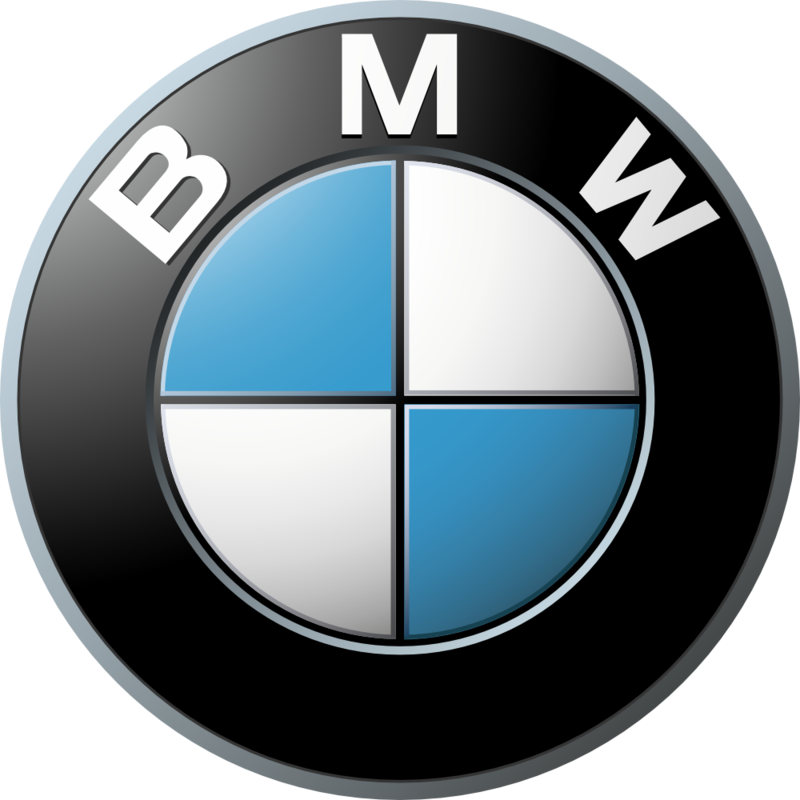 BMW Performance Division should consider offering a limited slip as an add-on or better yet offer it as an option at the time of purchase. Traditionally M cars will come with a LSD from the factory. wow... basically, this is the successor to the 1M, and that is saying a lot b/c that was a "true" M car. I am so jealous right now. I'm curious about this "virtual/open LSD", is it just an ESP/Brake police type mechanism or is there actually an electronic monitor that's measuring slip between the wheels and directing torque appropriately? Oh how I wish we had the F20 in the US! The virtual/open LSD is just the ABS system braking the spinning wheel. The nice thing is that it for the first time in BMW history is enabled with DSC completely off. I have tested it on ice tracks, slalom and a dry racetrack, and it works really well with 316i/316d. I don't know how it would cope with a 320 hp engine, or long stints on the track. I guess it would eventually disable itself because of heat. Okay, so this is nothing like the active M differential in the M5, which actually controls left/right torque output. The princible is very different from the active M differential, but the end result is slightly similar. An open differential will always distribute the torque 50/50 between the rear wheels. If one wheel has less grip, the torque to the wheel with better grip will be reduced accordingly. By braking the spinning wheel, the differntial will see more torque, and send that torque also to the wheel with better grip. Braking the inside rear wheel in a corner is also a way of reducing understeer, which typically happens when you accelerate out of corners (load transfer to the rear). The F20 does indeed have very little understeer at corner exits. This is not the successor to the 1M, this is the successor to the 135is that was just released, but it's even better than the is. The successor to the 1M will be the M2 coupe. If the brakes are used to simulate a diff in the same way as they are in the 135i (and I think it's similar if not the same type of system) then I would say it works pretty well. It's no replacement for a real diff, but it's certainly better than having an open diff without using the brakes to transfer torque. Porsche uses the same technology in its 991 and calls it "torque vectoring," the MP4-12c also uses the inside rear brake on cornering, but in that car it actually grabs the brake to help rotate the car on corner entry. In the 135i, when you get on the throttle in a corner and you lose grip on the inside wheel, the brake is gently applied on that wheel to prevent it from spinning. You barely notice it from the driver's seat, you just notice you can get on the power surprisingly early considering the massive torque of the N55 (or N54) and the open diff. There have been many times where I have planted my foot early in a corner and been surprised at how well the car handles it. But in your 2011 135i, if you disable DSC, the virtual differential brake is disabled, isn't it? On the F20, it stays on. Can this post be moved to the European section, 100% irrelevent to North America..! Uno(? ), mind not rubing stuff like this in our face, rather rude!